Lack of research data and failure to consider patients’ functional age affects how older adults with breast cancer are managed. More than 1 in 10 women will be diagnosed with breast cancer in their lifetime, and about 40% of cases will be diagnosed in “older” women, or those aged at least 65 years.1 Women who are diagnosed at an advanced age are more likely than younger women to die from the disease. Personalized medicine has become a mainstay of all cancer treatment, but there are 2 parts to personalizing therapy, especially in older adults, according to Dr Hurria. The first is the understanding of tumor characteristics. On average, the types of breast cancers diagnosed in older women are similar to those diagnosed in younger women. 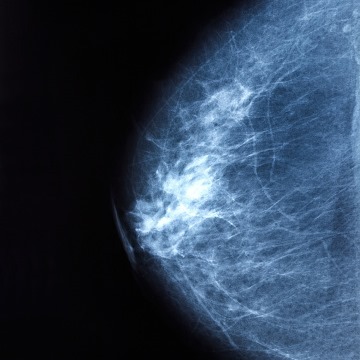 In 2009, Dr Hurria and colleagues published the results of a survey of 151 medical oncologists to evaluate how the age and health status of a hypothetical patient affected oncologists’ decisions to recommend adjuvant therapy in older women with HER2-positive breast cancer.3 Despite the substantial evidence to support the use of this combination treatment for patients with HER2-positive tumors, the survey found that as the hypothetical patient’s age increased or health status decreased, oncologists were less likely to recommend combination chemotherapy plus trastuzumab. They were instead more likely to recommend 1 of the treatments alone or no therapy at all. The second part of personalizing therapy for older adults is understanding the patient, including what the patient can tolerate and her preferences for care. “Determining whether a therapy is right for a patient depends on the functional age of the patient,” Dr Hurria explained. There could, for example, be 2 women diagnosed with breast cancer who are aged 75. One woman may be in a nursing home, wheelchair bound, and dependent on others for many daily activities. The other woman could be running a Fortune 500 business or the editor of a journal and be completely independent. In 2007, Dr Hurria and colleagues published the results of a survey of oncologists from Memorial Sloan Kettering Cancer Center in New York, New York, and the University of California, Los Angeles, which found that the proportion of oncologists who recommended adjuvant chemotherapy decreased as the patient’s age increased or as functional status and health status decreased.3 When controlling for health/functional status, 96% of physicians reported that patient age influenced chemotherapy recommendations. The challenge is that determining someone’s ability to tolerate therapy is often not black and white, Dr Hurria acknowledged. The best way to understand the different shades of gray among women is to do a geriatric assessment.